Just like they did with the iPhone X last year, analysts appear to have overestimated iPhone XR demand initially. Of course, Apple may have had somewhat unrealistic expectations this time around as well, reportedly leading to two consecutive production downgrades already. 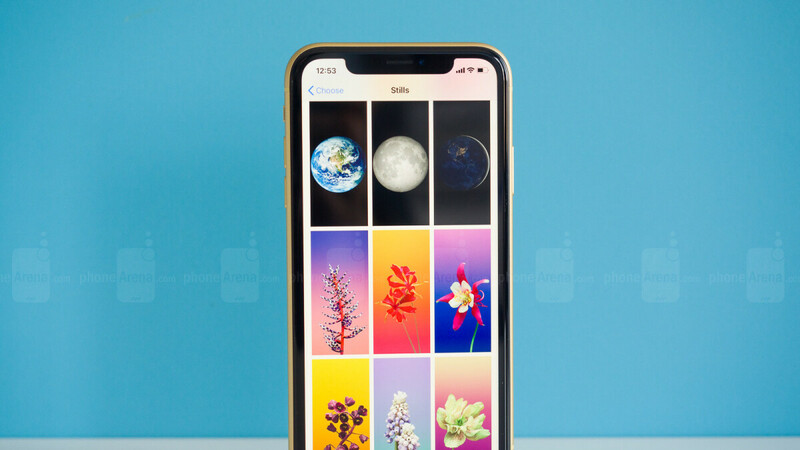 Talking actual numbers, Ming-Chi Kuo now predicts a grand total of 70 million iPhone XR units will be shipped worldwide during the handset’s first 12 months on the market. That might still sound like a lot, but it’s also a whopping 30 million units less than the reputable number cruncher’s previous forecast. There are several reasons why Kuo is lowering his prognosis so drastically, as reported by MacRumors, including a price point deemed excessive by many potential buyers, a not-very-impressive design considering said price point, “negative impacts on consumer confidence from the trade war in the Chinese market”, and strong competition from state-of-the-art Android rivals like the Huawei Mate 20 family. Then again, this same industry pundit expressed a starkly contrasting optimism just last month, also describing iPhone XR pre-orders as satisfactory, at higher figures than the iPhone 8 and 8 Plus combined. Bottom line, these things are in a constant state of flux, and with Black Friday deals and the holiday shopping season right around the corner, they could go back and forth for a few more months. If Kuo’s current shipment estimations do prove entirely accurate, which is almost never the case, the Q4 2018 tally of 30 to 35 million units should drop to 20-25 million in Q1 2019, followed by 10-15mn units for next year’s second calendar quarter. Thanks to higher-than-anticipated iPhone XS, XS Max, iPhone 8, and 8 Plus demand, Apple is still tipped to sell between 75 and 80 million handsets this holiday quarter, followed by only 47-52 million units in the January - March 2019 timeframe. Of course, these numbers are no longer relevant as far as the company is concerned. This the best iPhone to buy right now. Ok, we best all run down the Apple Store then. Stop with this crap. Every year these analysts predict iPhones won't sell, every year Apple proves them wrong. Nobody's saying they won't sell, they will sell well as they always do. Apples big problem is that iPhone sales are flat and have been for the last 4 years. So to keep investors happy Apple just bangs up the price and says f*** the customer they will keep buying no matter what. The thing is they are making a lot of customers unhappy with their nickel and dime antics and it's the customer which pays their wages. Just visit any Apple centric forum and their are lots of people complaing about quality going down while prices are rising fast. I have a lot of friends who are Apple users and most arn't happy with them at the moment and they will only take so much before they move on. "Apples big problem is that iPhone sales are flat " I don't see that as a big problem knowing how much they sell, selling that amount of most expensive phones in the market, you can't except endless growth. Their services business is growing very fast which just shows when they can't reach new highs with phone sales, they can still keep growing and growing their userbase and getting more money from their ecosystem. Let's not forget that Apple is only company with google from phone OEMs who can get money from their users years after when they bought the device. Eventually phone sales going to go down for everyone and then you have to do money with something else, many will struggle very badly. Regardless if iPhone’s are flat, they still have no competition. Brand loyalty alone is something no Android vendor has. Time to buy apple stocks. We need to stop reporting what analysts say. It's just a prediction based on absolutely nothing. These tech analysts are the meteorologists of the tech world. Almost always wrong, but somehow their opinion means something. I've had more than 15 phones the last 5 years. I buy and try, full price, on both major platforms. I return if I don't like, or keep til the next one catches my eye and flip. I am literally the target customer for Apple's high-end phones. I've mostly been on iOS this last little while, but I did not think the X was worth $1000 last year. I got an 8 Plus, which admittedly was only about $200 cheaper. I also do not think the Xs is worth $1,000. My next phone is likely going to be the smaller Pixel 3, or the Galaxy S10. Once you get over the iMessage lock-in (you should be using Signal or Telegram or even WhatsApp anyway), you realize the platforms are mostly the same now, except iOS limits your hardware choices to a laughable extent. The Xr is a joke at $750. If people like me are not on board with upgrading, Apple needs to rethink its strategy, and hiding unit sales is only going to work so long. I'm not saying they're going to fail overnight or anything. But remember, Blackberry had >50% of the smartphone market as late as 2011, and everyone thought BBM had the same lock-in effect iMessage does.